Want a free trip to Malaysia? The Manila office of Tourism Malaysia is holding a contest for Filipino members of the Tara Na Sa Malaysia Facebook Group. The contest is very easy, actually. 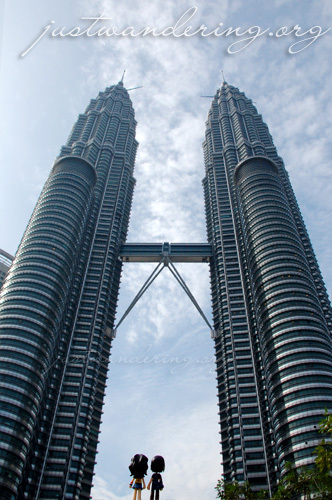 Just post a picture of you with the Petronas Towers in the background, and set it as your profile photo on Facebook. Don’t have a photo? You can just photoshop yourself using the group’s profile photo of the twin towers. WOW, I do not know how to read *facepalm* Martin clarifies that if you do not have a photo, you can just use the profile photo of the group featuring the twin towers. The contest runs from November 9 – December 6, 2009. You can join anytime during the contest duration, but you must retain your profile photo until December 9, when the winner will be drawn. Goodie bags will be given to 8 weekly winners. Only these 8 weekly winners are qualified for the grand draw. What’s in store for the grand prize winner? A Malaysia Airlines ASEAN Pass! For more details and complete contest mechanics, visit (and join!) the Tara na sa Malaysia Facebook Group. Thanks for the post, Nina! Just to clarify, contestants don’t even have to photoshop themselves. They can just simply save the profile picture in the TNSM! Group page and use it as their own profile pic straightaway. But we’ll also accept photoshopped pics of yourself with the Petronas Twin Towers at the background, as long as the contestant will use the profile picture on the TNSM! Group page as background. am joining!!!! wahahaha. i wanna go back to malaysia and explore places outside KL +_+ haha Genting? what else? pick me pick me!!! Anna: So have you joined yet? I love your photo profile too. But if you change it, it’s only temporary. Cool contest. I’m just waaay too lazy to even attempt anything at the moment. LOL. What’s gonna be inside their goodie bag?